As a commercial property manager, it is critical to maintain the buildings you are responsible for. The outward appearance of your property can make or break a tenant’s decision to live or work there. Painting the exterior and interior of your commercial property is an easy and affordable way to improve property value. While at the same time, protecting the property from more costly and preventable damage and repairs. Prospective renters for an office space or apartment are more likely to approach your rental property if the exterior looks nice. A good first impression will certainly attract more clients. The mo re prospective renters you have means you are able to maintain an upward revenue stream. While attracting new business is always important, maintaining current tenants is just as important. Updating the exterior and interior of a space will also keep current tenants happy. If already paying tenants are happy, they will tell their friends and family about their property management company. This kind of free advertising is invaluable. As a commercial property manager, you can market a newly painted property as an upgrade. Painting your property will get new customer interest and foot traffic through the door. Consequently, allowing you to sell your rental property for a higher price. Just make sure when you decide to paint your commercial property that you choose a reputable company to do the work. The right commercial painting company will do a great job painting your property and help make sure you choose the right color palette. For example, fresh neutral and gray complementary colors are soothing. While darker colors and red tones can affect mood and decrease productivity and property value. Picking the right colors to paint in your space will increase the property value of the space more than you think. Above all, painting the space is an easy and cost effective way to maintain your property with minimal effort and a lot of payoff. Do you have a commercial or residential painting need at one of your properties? We can help! 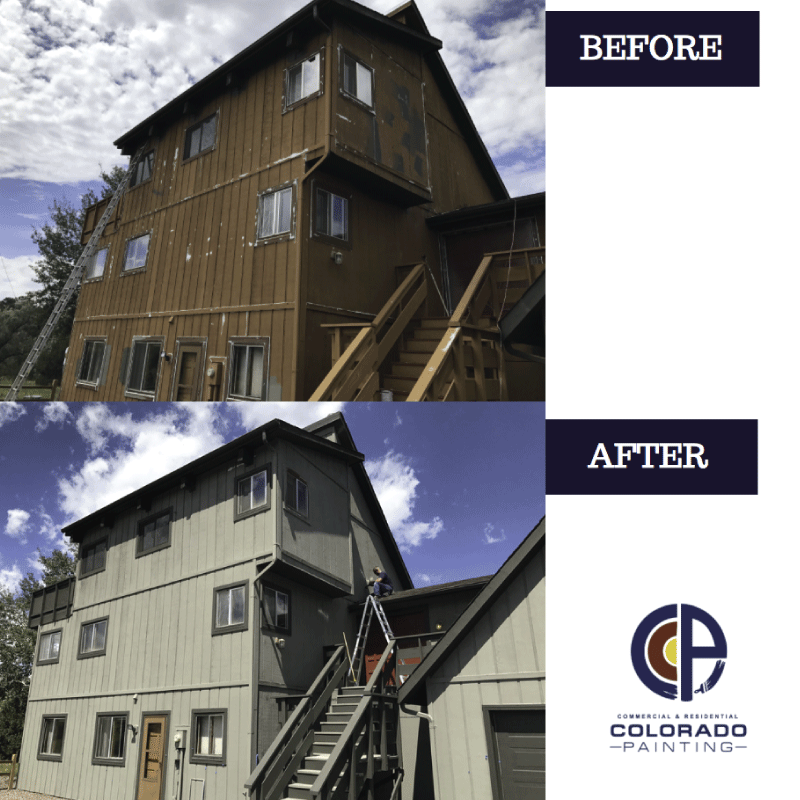 Contact Colorado Commercial & Residential Painting today by sending an email to trevor@coloradopainting.comor completing a contact form to get a free estimate for your next project.